After taking that structure class in Canada I was soon issued my first challenge. 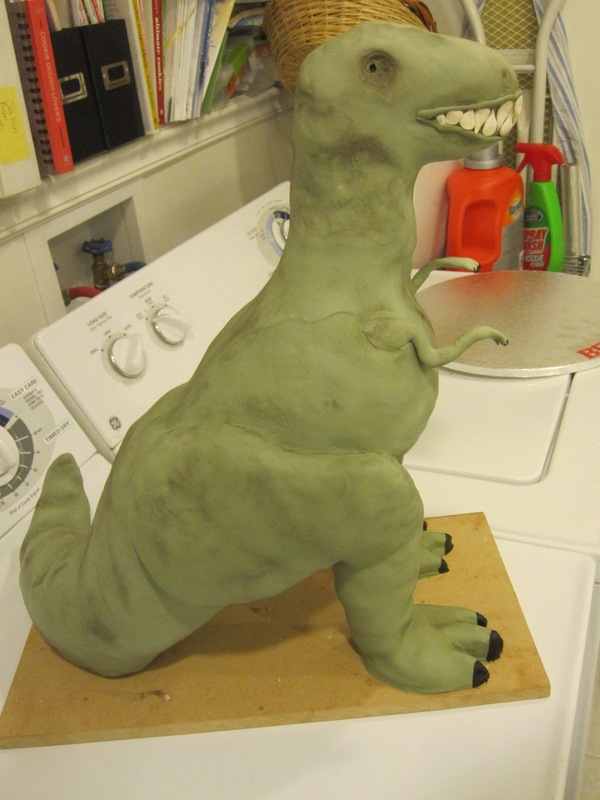 My middle son had an upcoming birthday and asked for a T-Rex that was standing. He wasn’t going to make it easy on me. So I had to figure out the structure that would support a 3D T-Rex! 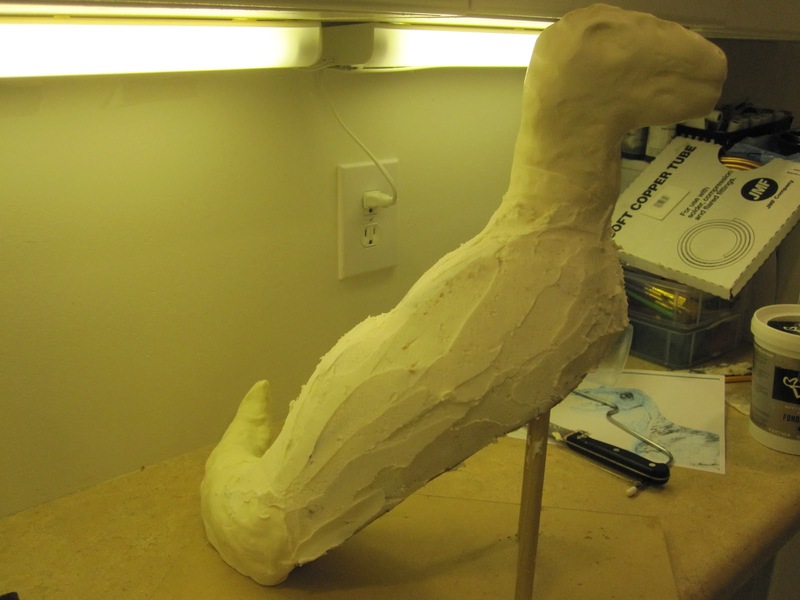 I ended up doing a structure somewhat close to the dog one that I had made in Canada. Here is a picture of the structure and the tail. I made the tail out of modeling chocolate. 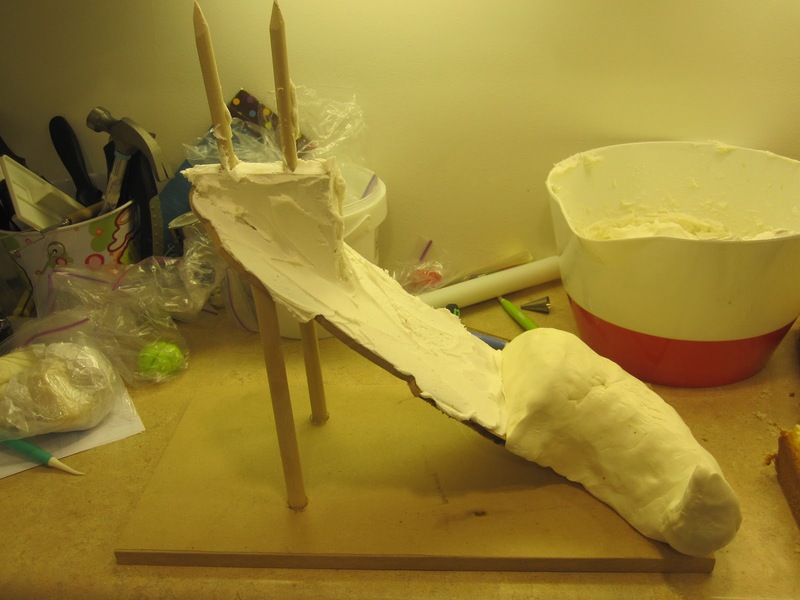 The tail also aided as a support to help hold the cake in place so it wouldn’t slide off the board. 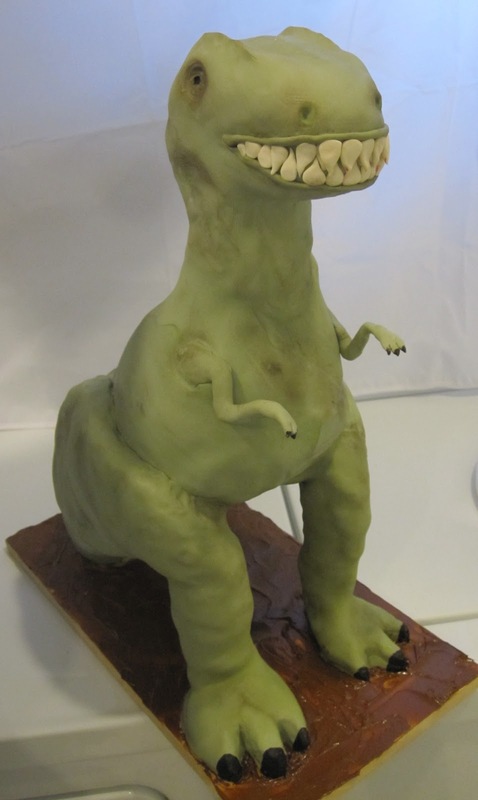 Then I stacked the cake onto the board and carved it to resemble the body of the T-Rex. The head I also made out of modeling chocolate since it sets hard quickly and is very sturdy, but yet easy to mold. After I crumb coated the body I added modeling chocolate to the underbelly to round that out and covered that in green fondant. 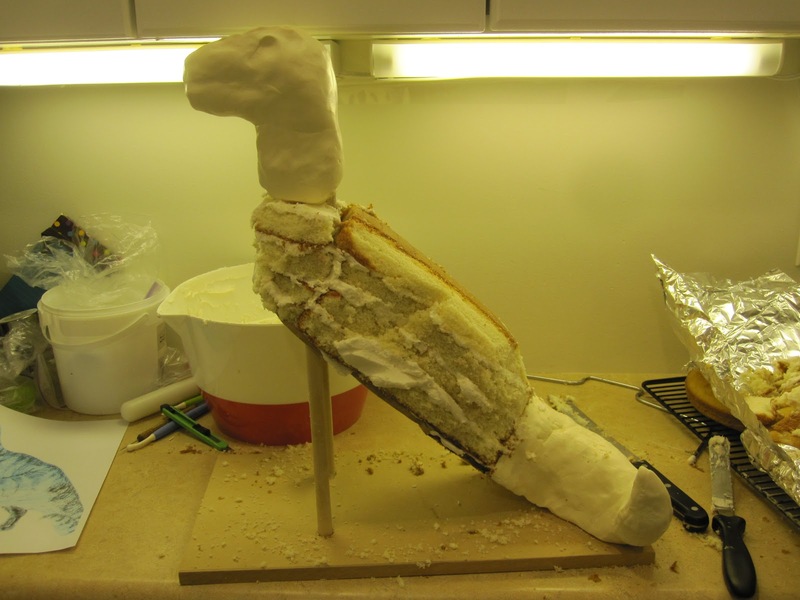 Then added legs which I formed from Modeling chocolate and covered with the green fondant. Last but not least added arms (made from wire that was covered in fondant), teeth and details (petal dust to give a variance of color and shade certain areas like the eyes and nose. It was fun to make this cake and can’t wait for my next challenge. Previous Previous post: Chevron baby shower cake, Marvelous Mold onlay.